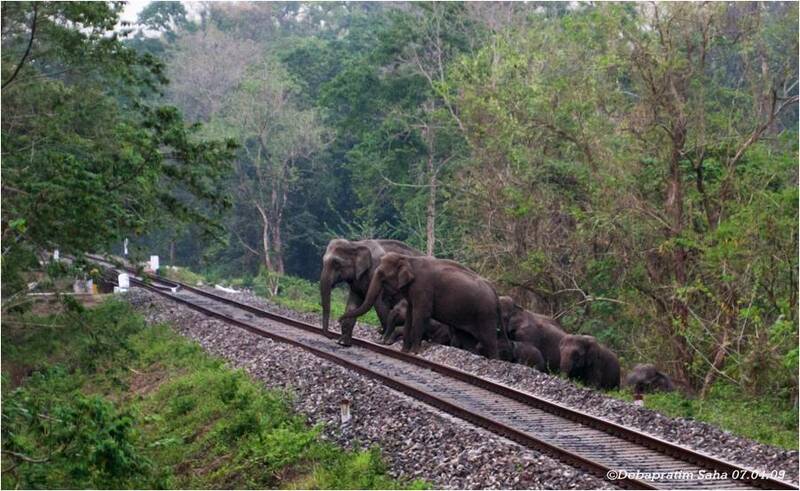 Kolkata: Apeejay Tea and WWF-India today announced their partnership for finding lasting solutions to prevent and manage Human-Elephant Conflict (HEC) in Assam by implementing a three-year, exhaustive management strategy in the most affected elephant landscapes of the state. Focused on decreasing human and elephant mortality levels substantially from that recorded in 2013, the first phase of work of this alliance will commence immediately with an intensive conflict management effort in Sonitpur district. Over the past few years, HEC has become more severe with large volumes of crops getting destroyed, people getting killed, and ultimately elephants being killed in retaliation. Sonitpur, the second largest district in Assam, is also known to have historically borne the brunt of HEC, recording the most human deaths and damage to crops in the state for years. In Sonitpur, there have been 206 human and 131 elephant fatalities between 1996 and 2009. More than 50% HEC related human deaths have been recorded from the tea estates. From 2001 to 2014, out of 245 people who died in Sonitpur due to HEC, 128 people are from the tea estates. The large number of people killed by elephants escalated in 2001 leading to 32 elephants being killed in retaliation in a single year. The three-year project entails building on the very successful 10 year old “Sonitpur Model” enhancing its scope and impact with the focus on piloting new ideas in view of the severity of damage and loss shouldered by the tea estates as revealed in the statistics above. WWF-India has been actively working on elephant conservation and HEC management in the Sonitpur district since 2004, along with the Department of Forests, Government of Assam, community groups and a civil society organization called District Community Development Programme. A unique, ongoing model of HEC management set up by this alliance, now referred to as the ‘Sonitpur model’ – that includes the use of kunki or captive elephants to drive wild elephants from fields and tea estates, training anti-depredation teams to facilitate elephant drives and empowering the local community – has shown a marked decrease in human deaths and reduction in crop and property damage over the last decade. A matrix will be developed to calculate the quantum of loss that is usually borne by the tea estates on account of damage to property, including tea bushes and shade trees, infrastructure and injuries among residents. This matrix will bring the issue in strategic focus and will attract attention and investment for a new agenda for adaptation and management that would benefit the state, region and country. Mapping of the new paths that elephants have established, to move away from forest areas, will be done for the first time in the tea gardens. Securing elephant movement path adjacent to Sessa, an Apeejay Tea garden in Sonitpur, will be the start point for tracking and early warning of elephants on the move. The route will be hedged by a bio fence, in place of the electric fence that has been the norm so far. This is the first time that bio fencing will be used as protection that is safe for elephants and other wild life. The nurseries for growing the thorny bamboo will be inside the Apeejay Tea estates in Sonitpur. The nurseries will be replicated in other Apeejay Tea locations in Upper Assam in the next two years. Further, a structure to monitor HEC in Sonitpur district and replicate it in Nagaon, Golaghat, Sibsagar and Tinsukia districts will be developed. As part of the comprehensive management plan, 16 monitors will be put in place in various strategic locations of the district to gather maximum information of the raiding elephants and damage done. Apeejay Tea and WWF-India envisage a substantial reduction in conflict and mortality rates of both humans and elephants.